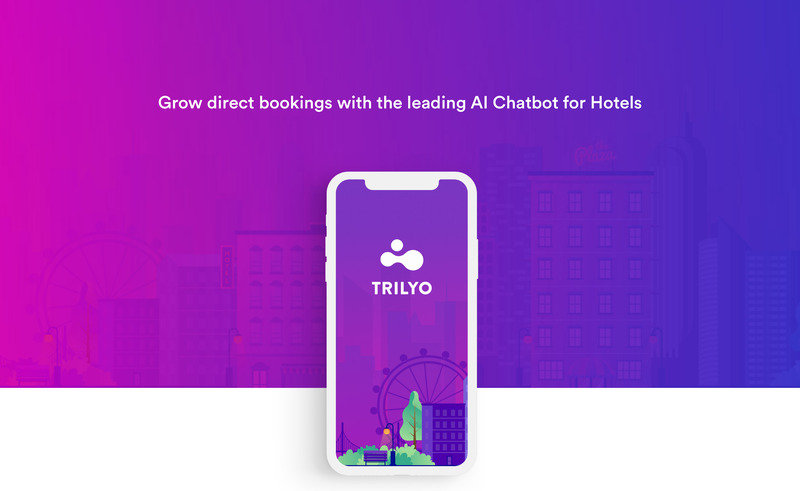 Trilyo is a Bangalore based chatbot company for hotel industry. It comprises features like any other chatbot but it caters specifically to hospitality industry. 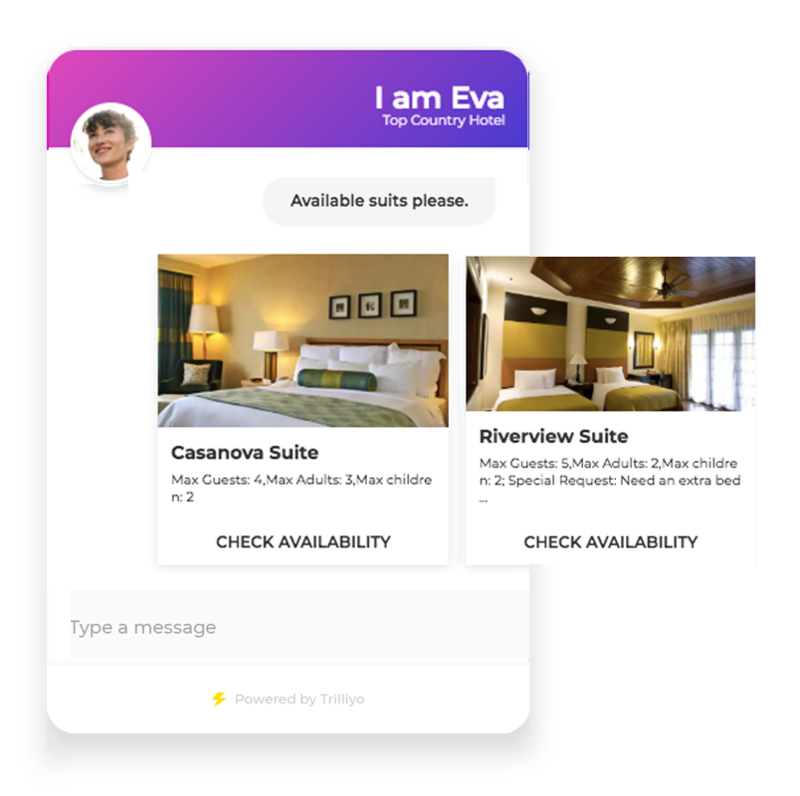 It integrates its bot to hotel websites to share offers, takes booking. Trilyo wanted our help in designing their chatbot interface and front-end coding. 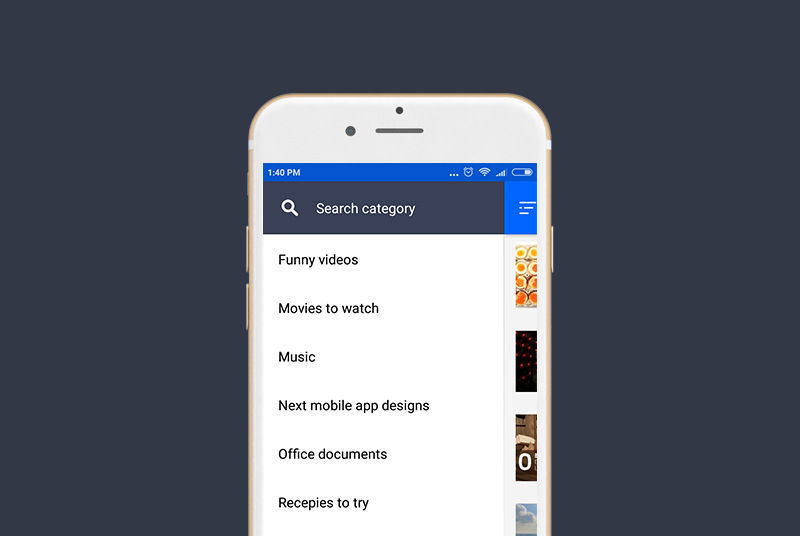 The objective was to help Trilyo chat get a simple yet distinguished look and feel. While they were making the backend service , they approached us to design a modern, user friendly chatbot for them and also to engineer its front end part. After the design confirmation, we had to support them in the front-end end development while they took care of the back-end technologies. Using their existing brand guidelines, we designed their chat section components. We designed it keeping in mind the user experience, their survey results and business objectives. A chatbot typically is placed at right-bottom side of a website. Trilyo is nothing different than that. 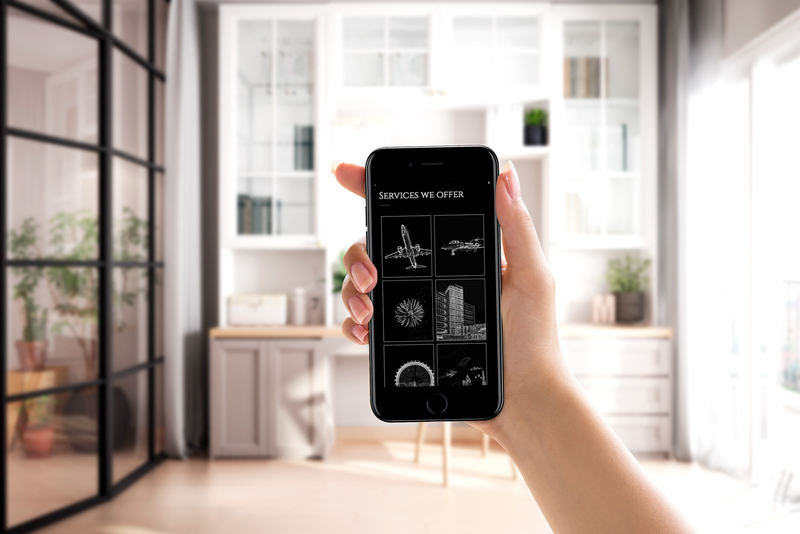 So we decided to do all the proven user experience with solid touch of their branding and visual elements. We did some sketching, design exploration and went with which seems logical and both beautiful. 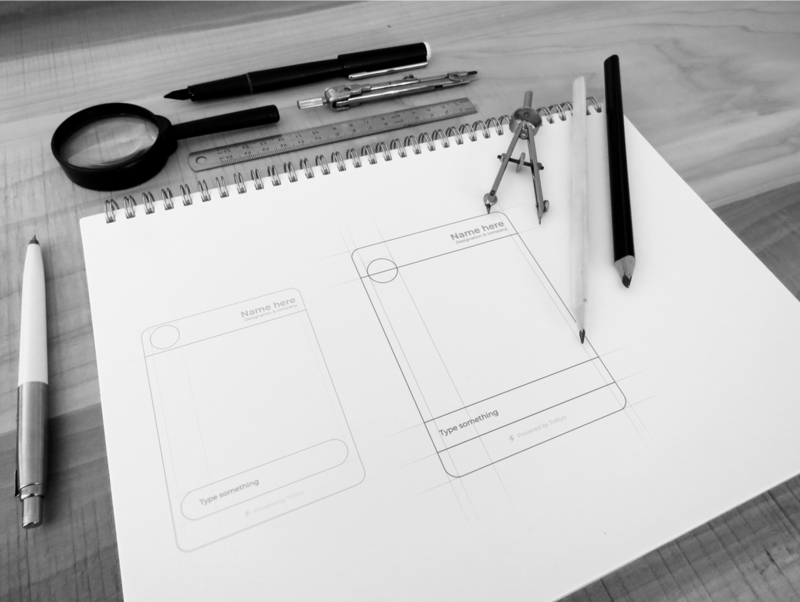 A great framework we used for this is the design studio method for collaborative design. This process starts with a solo ideation phase, with participants sketching singular ideas on how to solve the problem at hand. Ideas are then shared, critiqued and combined/stolen/elaborated. We used the ‘double diamond’ model for the UX/UI work. For their branding they used a gradient of dark pink and violet, so we used same color scheme throughout the app. From the sketches we derived a chat-bot design which reflects their branding and do justice to the users. The images for the hotel rooms is a must for a chat-bot in hospitality industry. The room details was a part of the carousel and user can see the availability of a room. 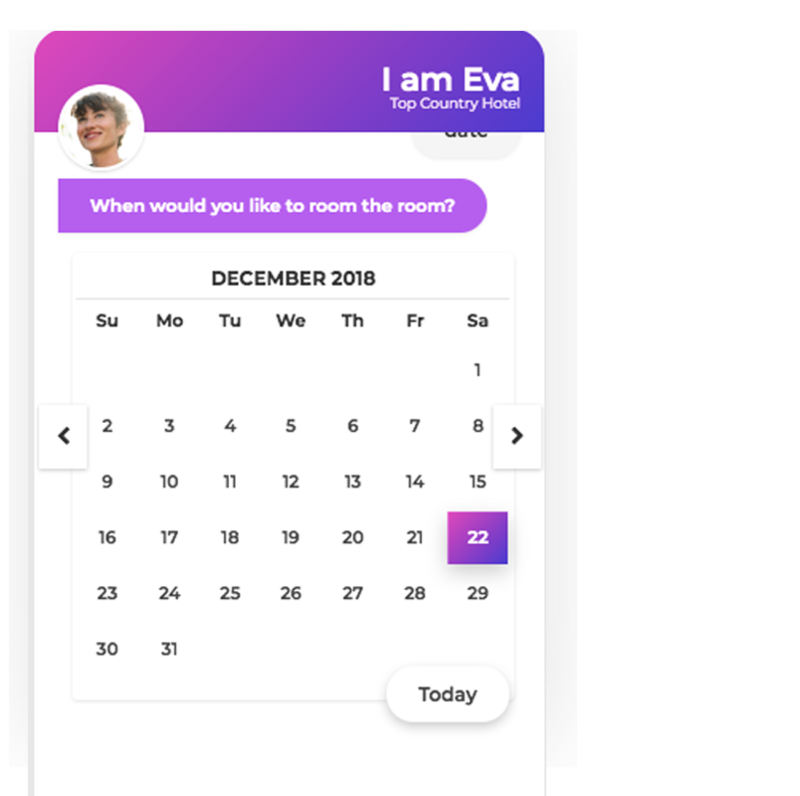 The visitor can directly book a room from the chat, with the calendar widget he can check availability and also can book a room.